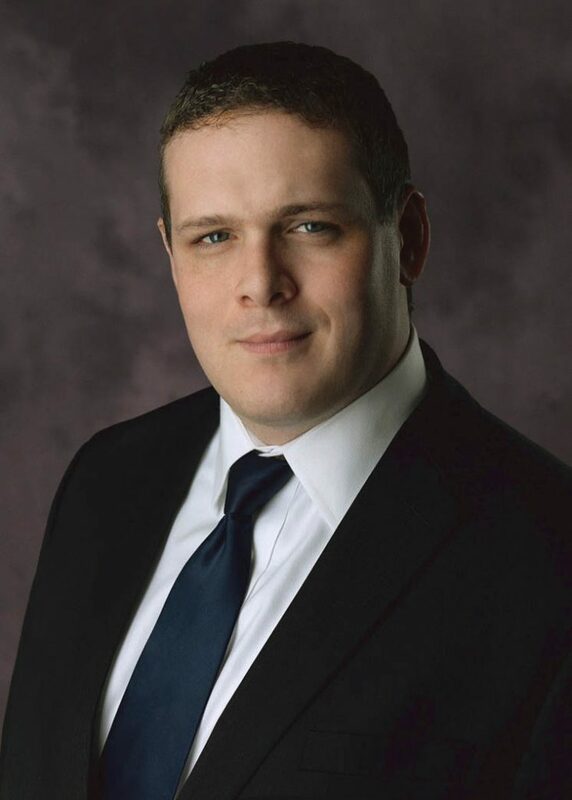 Josh is an Associate Professor of Law at the South Texas College of Law Houston who specializes in constitutional law, the United States Supreme Court, and the intersection of law and technology. Josh is the author of the critically acclaimed Unprecedented: The Constitutional Challenge to Obamacare (2013) and Unraveled: Obamacare, Religious Liberty, and Executive Power (Cambridge University Press, 2016). Josh was selected by Forbes Magazine for the “30 Under 30” in Law and Policy. Josh has twice testified before the House Judiciary Committee on the constitutionality of executive action on immigration and health care. He is an adjunct scholar at the Cato Institute. Josh is the founder and President of the Harlan Institute, the founder of FantasySCOTUS, the Internet’s Premier Supreme Court Fantasy League, and blogs at JoshBlackman.com. Josh is the author of over four dozen law review articles, and his commentary has appeared in The New York Times, Wall Street Journal, Washington Post, USA Today, L.A. Times, and other national publications. The Once and Future Privileges or Immunities Clause, 25 Geo. Mason L. Rev. __ (Forthcoming 2019) (with Ilya Shapiro). Remembering Professor Ronald Rotunda, ___ Chapman L. Rev. ___ (Forthcoming 2019). Undone: The New Constitutional Challenge to Obamacare, 23 Tex. Rev. L. & Pol. 1(2018). Self-Plagiarism, 45 Fla. St. L. Rev. 641 (2018). The Travel Bans, 2017-18 Cato Supreme Court Rev. 29 (2018). The Domestic Establishment Clause, 23 Roger Williams L. Rev. 345 (2018). Defiance and Surrender, 59 S. Tex. L. Rev. 157 (2017). The Saving Construction at Five Years, 11 U. St. Thomas J. L. & Pub. Pol’y 72 (2017). Foreword: SCOTUS after Scalia, 11 N.Y.U. J.L & Liberty 48 (2017). Reply: A Pause For State Courts Considering Model 8 Rule 8.4(G) The First Amendment And “Conduct Related To The Practice Of Law,” 30 Geo. J. Legal Ethics 241 (2017). The 9th Circuit’s Contrived Comedy Of Errors In Washington v. Trump, 95 Tex. L. Rev. See Also 18 (2017). The Legal Resistance, 9 Faulkner L. Rev. 45 (2017). State Judicial Sovereignty, 2016 Ill. L. Rev. 2033. Gridlock, 130 Harv. L. Rev. 241 (2016). A Very Texas Term At The Supreme Court: Examining The Decisions Affecting The Lone Star State, 79 Tex. B.J. 762 (2016). Restoring the Lost Confirmation, 83 U. Chi. L. Rev. Online 18 (2016) (with Randy E. Barnett). Collective Liberty, 67 Hastings L.J. 623 (2016). Popular Constitutionalism After Kelo, 23 Geo. Mason L. Rev. 255 (2016). The Process of Marriage Equality, 43 Hastings Const. L.Q. 243 (2016). Immigration Inside The Law, 55 Washburn L.J. 31 (2015). The Legality Of Executive Action After King v. Burwell, 16 Engage: J. Federalist Soc’y Prac. Groups 8 (2015). The Constitutionality Of DAPA Part II: Faithfully Executing The Law, 19 Tex. Rev. L. & Pol. 213 (2015). The Constitutionality of DAPA Part I: Congressional Acquiescence to Deferred Action, 103 Geo. L.J. Online 96 (2015). Obamacare & Man at Yale, 2014 U. Ill. L. Rev. 1241. The Shooting Cycle, 46 Conn. L. Rev. 1513 (2014) (with Shelby Baird). The Burden of Judging, 9 NYU J. L. & Liberty 1105 (2014). What Happens if Data is Speech?, 16 U. Pa. J. Const. L. Heightened Scrutiny 25 (2014). The 1st Amendment, 2nd Amendment, and 3D Printed Guns, 81 Tenn. L. Rev. 479 (2014). Popular Constitutionalism and the Affordable Care Act, 27 Pub. Aff. Q. 179 (2013) (Peer-Reviewed). Back To The Future Of Originalism, 16 Chap. L. Rev. 325 (2013). Originalism at the Right Time?, 90 Tex. L. Rev. See Also. 269 (2012). Fantasy SCOTUS Crowdsourcing A Prediction Market for the Supreme Court, 10 Nw. J. Tech. & Intell. Prop. 125 (with Adam Aft & Corey Carpenter). The Constitutionality of Social Cost, 34 Harv. J.L. & Pub. Pol’y 951 (2011). Original Citizenship, 159 U. Pa. L. Rev. PENNUMBRA 95 (2010). Outfoxed: Pierson v. Post and The Natural Law, 51 Am. J. Legal Hist. 417 (2011). Nominated by The Green Bag for “Exemplary Legal Writing” in long articles category for 2011. Equal Protection From Eminent Domain: Protecting The Home Of Olech’s Class Of One, 55 Loy. L. Rev. 697 (2010). This Lemon Comes as a Lemon. The Lemon Test and the Pursuit of a Statute’s Secular Purpose, 20 Geo. Mason U. C.R. L.J. 351 (2010). Omniveillance, Google, Privacy in Public, and the Right to Your Digital Identity: A Tort for Recording and Disseminating an Individual’s Image Over the Internet, 49 Santa Clara L. Rev. 313 (2009). The Supreme Court’s New Battlefield, 90 Tex. L. Rev. 1207 (2012)(reviewing Adam Winkler, Gunfight: the Battle over the Right to Bear Arms in America (2011)). Constitutional Structure: Cases in Context, 2d ed. (New York: Wolters Kluwer Law & Business, 2018). (with Randy E. Barnett). Unraveled: Obamacare, Executive Power, & Religious Liberty. (New York: Cambridge University Press, 2016). Unprecedented: The Constitutional Challenge to Obamacare. (New York: PublicAffairs, 2013). 2017 Supplement, Constitutional law : Cases in Context. 2d ed. (New York : Wolters Kluwer Law & Business, 2017). 2016 Supplement, Constitutional law : Cases in Context. 2d ed. (New York : Wolters Kluwer Law & Business, 2016). Popular Constitutionalism and the Affordable Care Act, in The Affordable Care Act Decision: Philosophical and Legal Implications (Fritz Allhoff and Mark Hall, Eds) (New York: Routledge, 2014).